Learning to judge dogs is within reach but if education gets in the way of judging, it becomes only a sport of opinions, not champions. The lamp of the mind is easily snuffed out by the wind of ignorance. Choosing ignorance over knowledge in order to win or please someone is unacceptable. So before second guessing a judge, walk in his/her footsteps. What if there are no outstanding choices available? With-hold ribbons? That has repercussions. If you withhold a blue ribbon, that dog is ineligible for further competition on that day. IF the dog truly does NOT represent the breed standard or you might wonder what breed if you saw it on the street, excuse the dog for lack of merit. This situation happens. Breeds are” dissolving” at an alarming rate. When legs shorten, heads lengthen, coats become massive, and breed specific movement or lack of outline is lost, one breed easily suggests another. It is often slight nuances that determine one breed from another and virtues must be respected. Breeds can appear to be “too much” or become “caricatures” due to exaggeration of breed characteristics... Basset Hounds, Labradors, Dobermans, and short legged breeds lend themselves to this. What if all the judge has is overdone dogs or dogs not worthy due to lack of maturity? Judges cannot judge on what they expect a puppy will become, they must judge today. We cannot judge what the dog would be IF it lost 5 pounds. Some entries simply are not stellar but there they are! Fortunately, at most shows, quality animals do surface both in Group and the Best in Show ring. Too many entries offer beautiful fronts but may flaunt less than acceptable rears or top line. That makes some judges scratch their heads when the rest of the dog is decent. Forgiveness is the name of the game, (whoops, sport). Judges don’t want to perpetuate a fault by awarding it, yet it happens. Some newer breeds often have bad rear assemblies or inferior fronts. However, they may be considered outstanding or acceptable by a breed specialist. 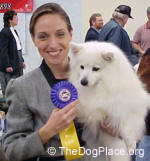 Owners cannot understand why an All Breed judge does not award their dog. Any dog that cannot walk from the water bowl to the food bowl, regardless of the newness of the breed, is neither correct nor sound and we should not perpetuate that. One of the giant new breeds is often so crooked behind it is challenged to hold up under its own weight and that gives “cause for pause”. Some new AKC breeds improve; others deteriorate due to popularity and new owners wanting “something different”. Of concern to owners and even to judges who must examine dogs they know nothing about. Before diving into a pool of something unknown, find out if it is or is NOT insurable. You are responsible for any action this animal takes against property and people. Someone must board your dog when you are gone, so good temperament and socialization is a must. Judges may touch base with each other. Others refer back to standards or mentors to see dogs from another’s perspective to assist in proper prioritizing. Opinions differ when breeds offer a variation in size, type, bone, and outline. What one judge tolerates, another may find intolerable. This doesn’t make one more or less of a judge, or breeder. As William Arthur Ward says: “A pessimist complains about the wind. The optimist expects the wind to change. The realist “adjusts the sails”. Perhaps we are “adjusting our sails” a mite too often and our keel drags dangerously close to the bottom. Dedicated breeders before us weren’t blinded by blue ribbons. They bred dogs with a purpose in mind. Despite opinions, the welfare and ability of the dog took precedence over all. Once the die was cast, the standard was written and considered sacred. Purchasing a Veterinary Science book from 1896 patented by the Dept. of Agriculture in Canada, Great Britain, Ireland, France, Germany, Australia and South Africa, the book sagely advises: IF YOU HAVE THIS, GET RID OF IT! On a humorous note, it encourages one to use a dead cat first before attempting to spay or neuter a live one. It addresses all animals, hooves or fowl, fur, internal, external, mental, nerves, and physical, head to tail. Animal Activists and rescue people find value in every animal, great or small, and I have no argument with that. Being a realist, while visiting a farm in Scotland, I asked a sheep herder what becomes of dogs that have no natural working ability. His response was immediate. “They don’t come home!” His dogs herd sheep daily over a thousand acres, it is his livelihood. Breeding and showing dogs is a sport today but we should never forget, breeding dogs and judging their worth was once about purpose and every dog had a purpose. As breeders, we should present the healthiest, soundest dogs possible for evaluation. It is still a judge’s responsibility to determine future breeding stock. 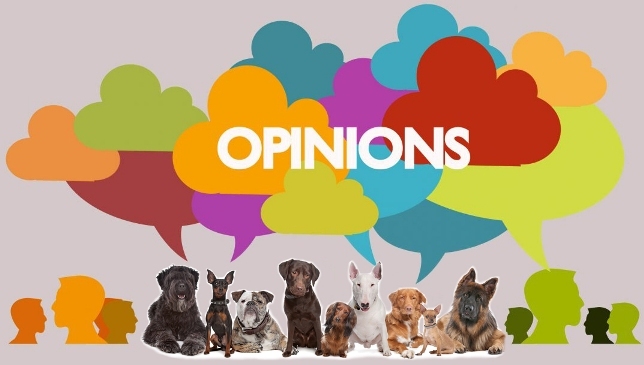 Depending on background, dogs are always subject to “opinions.” Those opinions should be backed up by educational value and the breed standards.